It’s hard to improve on the all-American grilled cheese. But there is one wonderful substance on this planet that can do just that – guacamole. It’s one of my all- time favorite food, and as a bonus, avocados are a super food. I love it so much that I started looking for new ways to use it. It’s hard to imagine anything that can’t be dramatically improved by smearing this green goodness on top, and a grilled cheese is no exception. Use two pieces of bread and lightly butter both sides. Place them in a warmed pan and toast on one side. 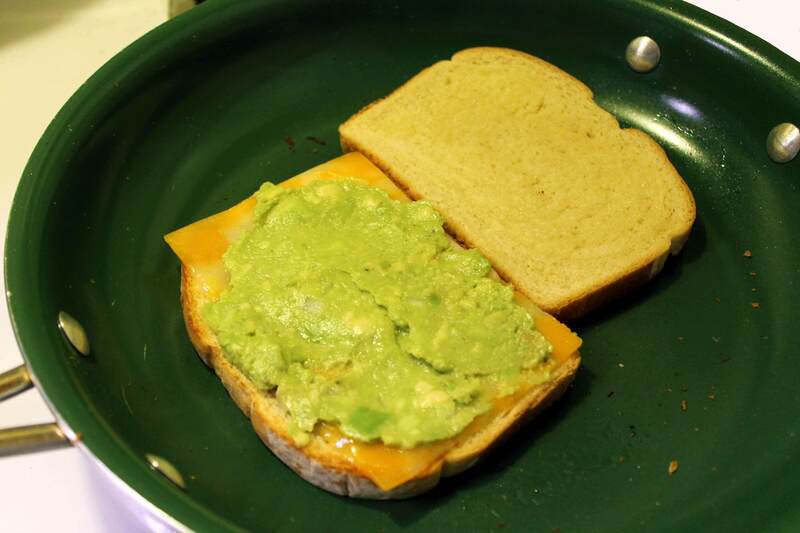 Then place your cheese on the bread and give it a good smear of guacamole. Lightly butter both side of bread. 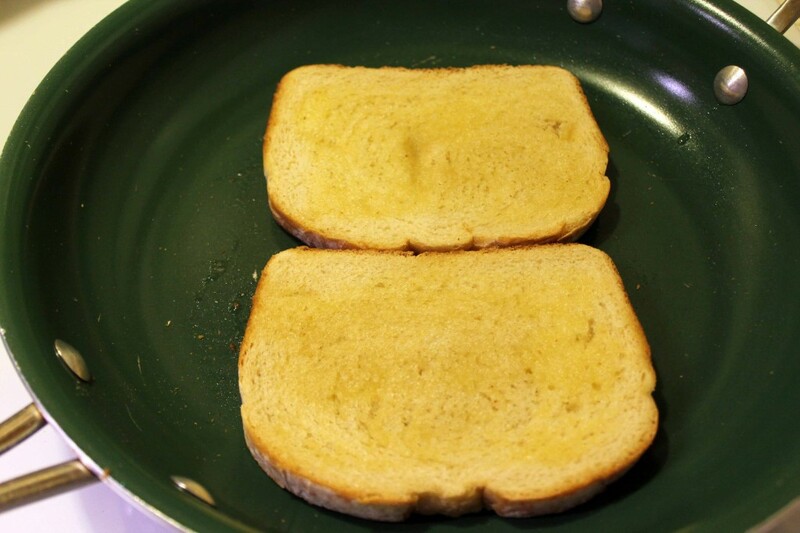 Place in pan and toast one side. When the first side has toasted, flip the bread over and add cheese and guacamole. Place toasted side of one slice of bread on top of the guacamole and toast till golden brown. Slice it down the center and enjoy! These are simple, quick, and oh so delicious! I confess I sometimes make these sandwiches as a quickie breakfast. Don’t like guacamole? 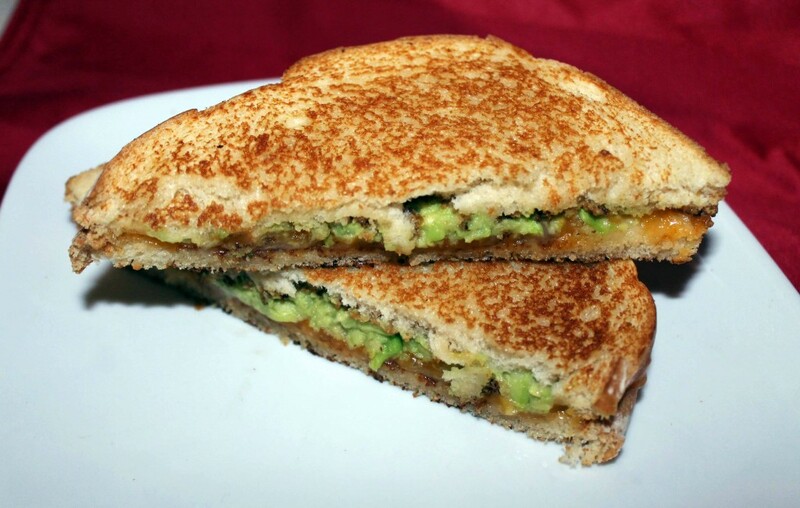 Then just slice or mash an avocado and add that to your grilled cheese. 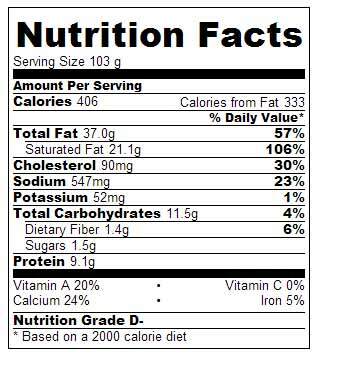 Check out the health benefits of avocados. *Hint: If you make 2 or 3 gill cheeses at a time, ease your burner’s temperature down as you go to prevent burning.